Aubrey's is a bed and breakfast annex, and is located all on the ground floor within the Grade II listed property, ’former servants’ quarters. This self contained unit consists of a sitting room, a morning room, a reception, four bedrooms (two double rooms, a twin room, and a bunk room) and two bathrooms. Off road parking is available for cars and motor cycles. Secure storage is also available for bicycles. 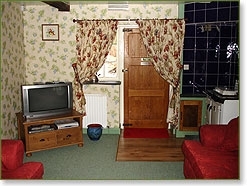 All rooms our rooms are tastefully decorated and have central heating, security safes and radio alarms, Freeview and WiFi connection throughout. 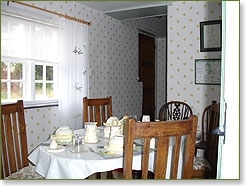 Tea and coffee making facilities are available in the morning room. Breakfast is served in the morning room between 07:30 and 10:00 where a selection of cereals, fresh fruit and drinks are available; followed by a full English or Continental Breakfast served to your table. 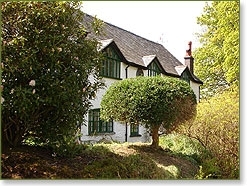 Whether for business or pleasure, Aubrey’s bed and breakfast accommodation is ideally located for attractions in Llangurig, near Llanidloes, Mid Wales, with the Elan Valley Lakes and Rhayader to the south, Devil’s Bridge, Aberystwyth and the Cambrian coast 25 miles to the west and only 12 miles from Llyn Clywedog! 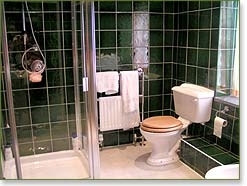 Aubrey’s B&B has gone green! The Clochfaen is now generating electricity from solar panels on the Old Tennis Court. With the wood pellet boiler at the cottages & our own pumped water supply and treatment unit really creates a green environment for visitors to come and enjoy! 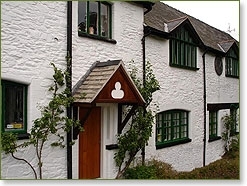 From £37.50/night per person for double occupancy of a room. 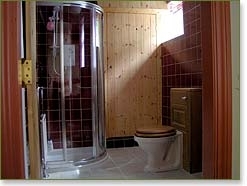 From £45/night for single occupancy of a room.